We invite you to take part in a dynamic, informative, and fun discussion about the first Feast of the Biblical year: Passover/Unleavened Bread. Growing up Jewish, we’ve been “celebrating Passover” every spring for our entire lives. But it took coming to faith in Y’shua (Jesus), the Lamb of God, to comprehend its fullness. 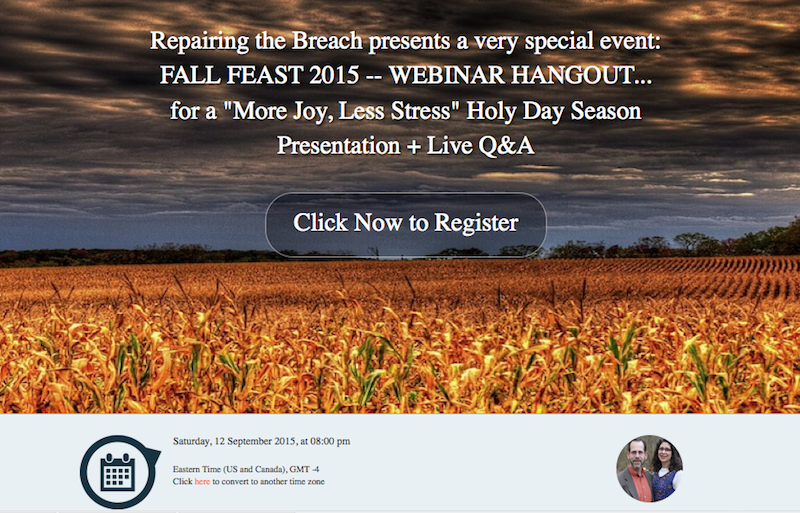 From a practical standpoint, we understand that it can be confusing to know “how to keep the Feast”, so that’s what this webinar is all about. 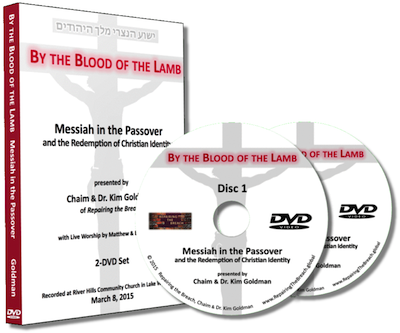 In it we share our decades of experience of celebrating Passover in the US and Israel, both rabbincally and Biblically, and according to different calendars. Oy vey! Yes, year after year we’ve tried it a lot of different ways, and so we’ll recount stories from our personal journey and take YOUR questions live! 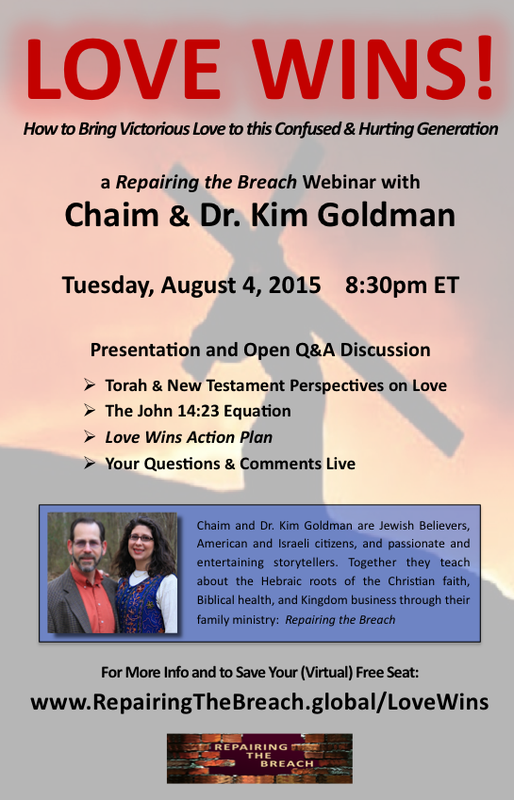 Dr. Kim (Klein) Goldman also grew up in a Reform Jewish household, but in Miami. She attended Sunday school, had a Bat Mitzvah, and served as president of her temple youth group in high school. But by the time she graduated from Chiropractic college, she had received Y’shua (Jesus) as her Messiah, and began her journey to knowing not only WHO He is, but also WHOSE she is. During Hanukkah of 2001, they met at a Hebrew roots home fellowship in Florida where Chaim was teaching. They were soon engaged and then married, moved to Israel for nine years, had six children, and are now back in the US. Over the course of their marriage, the restoration ministry of Isaiah 58 that was first revealed to Chaim has continually grown stronger in both of them, and has taken on an ever-deepening meaning. This includes embracing a Biblically-based lifestyle in all areas, which bears much fruit every day. 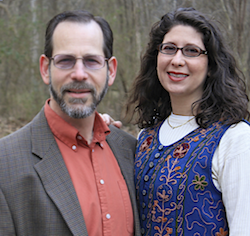 The Goldmans’ personal, professional, and spiritual journeys have equipped them to share dynamic, interactive, challenging, and fun teachings on the core Kingdom principles of Ancient Paths, Biblical Health, and Kingdom Business. It has also prepared their entire family to now go forth and bring their Repairing the Breach mission with the world. a context for joyfully approaching these appointed times, individually and corporately. CHAG SAMAYACH – JOYOUS FEAST! can approach this time of year in fun, unexpected, and God-honoring ways. 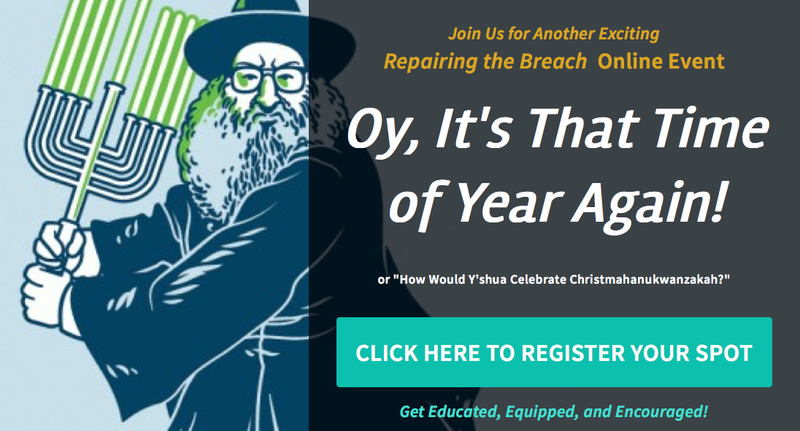 How (do we think) Y’shua would celebrate Chrismahanukwanzakah? Come find out!